How would London’s “Shift” transit plan work with high-speed rail? London’s “Shift” plan (www.shiftlondon.ca) started life as a well-conceived and much needed plan to incorporate light rail (trams) with express buses and regular buses into a functional and integrated transportation network for this growing city, considered by some as the commercial hub of southwestern Ontario. It adopted many of the concepts that propelled Kitchener’s ION light rail/GRT bus project into international best-practice. “Shift” has now been pared back to a bus rapid transit (BRT) only. Globally, other cities of London’s size have adopted light rail because the additional capital cost is quickly offset by its greater ability to get people out of their cars which is what transit systems are all about. Buses are less capable of this especially in communities like London that has an entrenched car culture. Judging by the “Shift” web-site blog, even the more basic BRT plan may be at risk from individuals and businesses objecting to its disruptive effects during construction and on future traffic flows. If built, “Shift” buses will not have a direct connection with the VIA Rail station on York St. which is also planned to serve HSR trains. This violates one of the fundamentals of HSR requirements of barrier-free transfer between trains and local transit. Even a one-block walk will materially deter riders. Ideally, the Greyhound bus terminal should be directly accessible to HSR passengers too. As it is currently planned, “Shift” BRT could not handle the minimum of 6,000 – 8,000 weekday riders needed to make HSR viable to and from London. Without a major rethink, including an LRT service along York St., the consequence of HSR in London would be greater road congestion and a major increase in demand for downtown, off-street parking. Clearly, London and HSR are just not a good match. And what about St. Thomas, Canada’s Railway Capital? Except it isn’t. An LRT based “Shift” could have used the London and Port Stanley Railway to connect St. Thomas to London and relieved congestion on Wellington Rd. and the Pond Mills area. It could have been a boost to St. Thomas’s post-industrial fortunes. 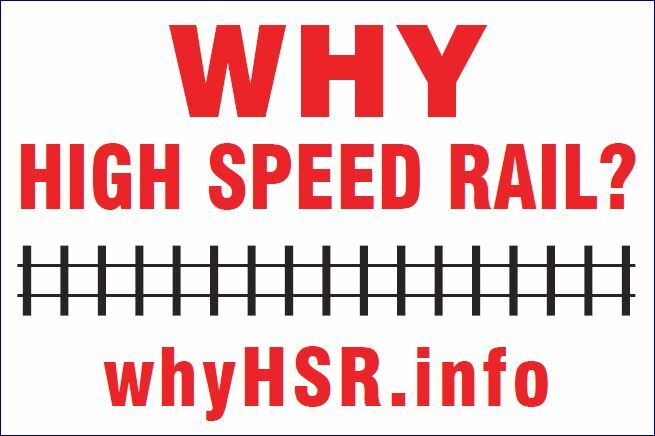 Another missed opportunity for regional, integrated public transportation and another negative for HSR in southwestern Ontario. ← Why can’t GO trains serve London through Woodstock and Stratford?